No. 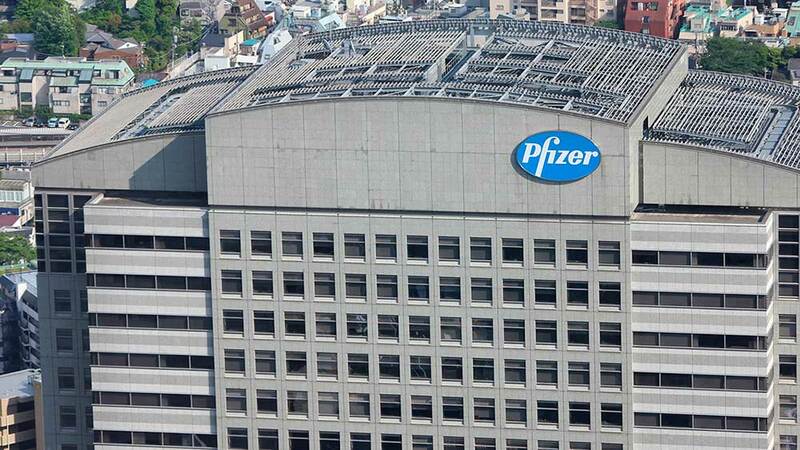 2 drugmaker Pfizer (PFE) could become acquisitive post-breakup flop, but it will likely overpay for those M&A assets, said Jeffries analyst Jeffrey Holford as he downgraded Pfizer stock Thursday, citing a lack of catalysts. In the stock market today, Pfizer stock fell nearly 1% to 32.76, its third consecutive down day. Shares dipped out of a flat base that formed over nearly two months and are now 13% from a possible entry point at 37.49. IBD’S TAKE: Biotechs toppled hard Wednesday on political angst. But on Thursday, players like Supernus Pharmaceuticals rebounded. You can find a day’s big movers at IBD’s Stocks On The Move. Holford downgraded Pfizer stock to a hold rating from buy, and cut his price target to 36 from 39 "as the key drivers that originally drove our upgrade have played out or failed to materialize," he wrote in a research report. Ibrance, Pfizer’s treatment for metastatic breast cancer, was granted accelerated FDA approval in early 2015. But the strong ramp it enjoyed in the U.S. has since petered out. Rivals could add some pressure in 2017, even as Pfizer prepares for its European launch. "We note recent prescription trends indicate that the U.S. opportunity is becoming saturated as patients are beginning to roll off treatment as rapidly as new ones are recruited," he wrote. "The European launch should reinvigorate growth in 2017." Similarly, Holford was previously bullish on Pfizer Prevnar-13, a drug to combat pneumococcal pneumonia. But much of the U.S. adult catch-up opportunity is now penetrated, he wrote. Pfizer’s biggest potential catalyst is to engage in M&A, which Holford sees as likely over the next 12-18 months. Pfizer walked away from its $160 billion merger with Allergan (AGN) after tax rules changed in April. Last month, it scrapped a years’ old plan to itself break up into two separate companies. M&A would help Pfizer drive a stronger growth profile, but it’s risky, he wrote. "Whilst management may find attractive targets to acquire, we believe that the environment for M&A is very competitive right now and there is a high risk that Pfizer may overpay for assets," he wrote.